After a major lightning storm your home or commercial electrical system can be at risk of severe damage. Throughout America no other state has more lightning storms than Florida. Florida has around 80 days of lightning storms within a single year and sometimes more. Due to the high rate of electrical storms within the state it is important to be aware of the danger it can pose to your home electrical system. Simon Electric will share why electrical inspections are needed after a lightning storm. When there is a lightning storm often electrical surges occur and can cause major damage to an electrical system. Many people believe that plug in surge protectors will completely protect their home from electrical surges during a lightning storm. Where surge protectors can reduce and even protect the system from electrical surges it doesn’t completely stop them either. Especially during a major lightning storm, strong lightning currents can still produce enough power to damage electrical systems. Even with surge protectors your home electrical system still can get damaged especially if lightning struck near your home. This is why after a major electrical storm it is recommended to have your home electrical system inspected in the event there is damage. Power surges most often damage smaller electrical devices such as tablets, TV’s consoles and other equipment that is connected to a circuit. However, larger appliances can also be damaged during a power surge. Damage to appliances and electrical devices is a good indication that your home has undertaken a major power surge during an electrical storm. During a power surge electrical wiring can become damaged and the outer cover can be melted or burned, exposing the internal wiring which is extremely hazardous. Other common problems after a power surge from lightning are damages to the electrical panel, breaker or fuses. They can all easily be damaged, killing all power along that circuit. 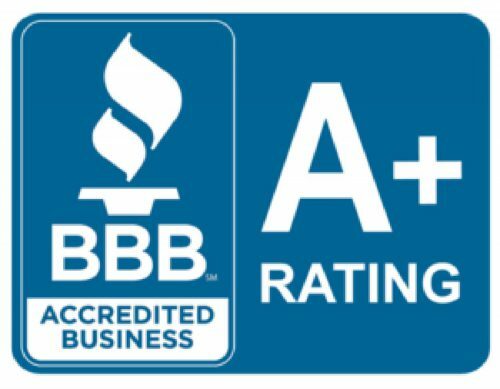 When an inspector comes they will test the wiring and inspect the electrical panel and other components of your home electrical system to ensure there is no damage. 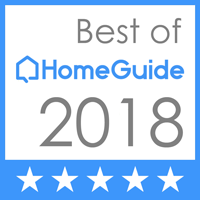 After a severe lightning storm and lightning has made contact near your home, it is strongly recommended you have your home electrical system inspected. Often a home electrical system will continue to function but could have gotten damaged and prove to be an electrical hazard. If an appliance or other device got damage or stopped working after a lightning storm, that is an obvious sign your home was hit with a power surge. 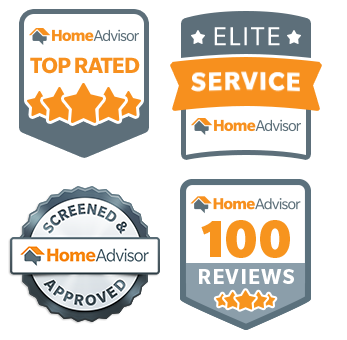 To ensure there are no further damages, and for your own peace of mind, have an inspection. After the inspection the electrician will share his report and advise you of any problems found. Additionally, look for ways to help protect your home from lightning. Whole house surge protectors help with power surges. You can speak with your electrician for further advice in protecting your home from lightning, especially if you live in a lightning active zone. 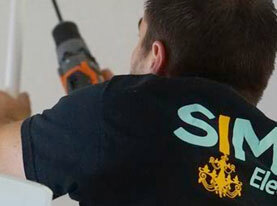 If you need an electrical inspection, repair or installation, contact Simon Electric. 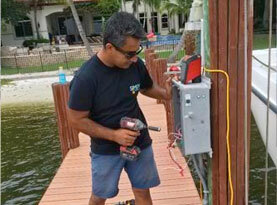 We provide quality electrical services and promote electrical safety. 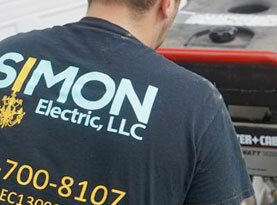 To schedule our services, contact Simon Electric today.